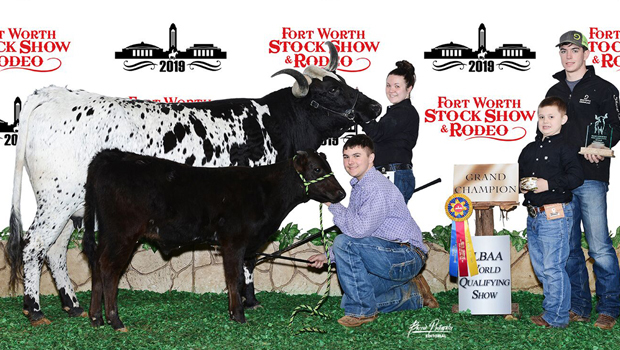 Jackson Grace, Sunset captured grand champion mature female with Black Cadillac in the TLBBA Open Division Longhorn Show at the 2019 Fort Worth Stock Show and Rodeo on Jan. 23. The 2019 show is hosting exhibitors from across the nation competing for awards and $87,200 in beef cattle premiums. Of the 33,000 entries at the nation’s longest-running livestock show, the livestock exhibited by the more than 11,500 junior exhibitors are among the best market animals in the country.